Now why would you want to get your hands on one of these alien creatures? Why to brew your very own kombucha, of course! At $3-4 dollars a pop, the pre-brewed stuff gets expensive fast, especially if you have small insatiable komucha chuggers in your house like I do. Kombucha is a probiotic drink, meaning it supplies and nourishes the healthy bacteria living in your gut. Restoring a healthy balance of good bacteria and encouraging the health of this bacteria promotes healthy digestion. Healthy digestion is required for total body health, as the digestive process is the way we get the nutrients out of our food and into our cells. 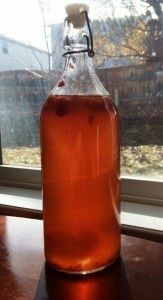 Kombucha is also super easy to make. Here's how to do it. 4-6 T loose-leaf tea (organic preferred) or equivalent in tea bags. Must be real tea, not herbal blend. *If you know someone who brews kombucha, they can give you a "baby," which forms on the original SCOBY, or "mother" as the kombucha ferments. There are other reputable places you can get one online, like culturesforhealth.com or getkombucha.com. Note that I am not affiliated with either of these shops. Bring 4 cups of water to a boil in a non-reactive pot. While the water is heating, measure your tea into a muslin bag or coffee filter. If you use a filter, tie the filter off with kitchen twine. When the water comes to a boil, turn it off and toss in your tea. Let it steep for 15 minutes or so. Pull out the tea bag and add sugar. Stir thoroughly to dissolve completely. Pour the sweetened tea into your brewing vessel and fill it almost to the top with cool fresh water. Add starter tea and stir. Drop the SCOBY in and cover with a breathable cover. Set in a warm, ventilated area, avoiding direct sunlight. Let it hang out for 7-14 days. I’ve found longer times required in Colorado. 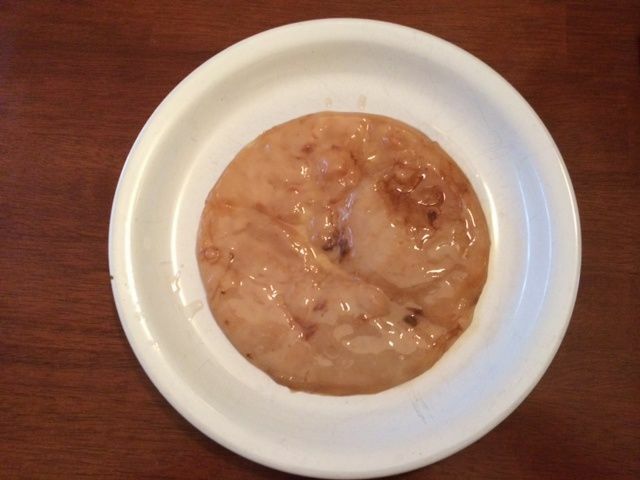 Test the taste daily after about a week by sticking a straw under the SCOBY and piping out a small amount. You want a balance between slightly sweet and slightly acidic. If it starts getting vinegar-y, bottle it immediately and do a second ferment. I almost always do a second ferment to flavor it anyway. If you are not using a continuous brew system, thoroughly wash your hands and gently lift your SCOBY (and probably baby!) out of the brew container and place it in a bowl with 1 cup of your newly brewed kombucha and set aside for the next batch. Pour your kombucha into bottles, leaving some room at the top. Your bottle should have a narrower neck than base and a sealable top. I like swing-top bottles from IKEA. Add flavoring for a second ferment. Some good choices are a few chunks of ginger with a little (¼ to ½ tsp) sugar or a small handful of strawberries or raspberries. You don’t need any sugar if using berries. Allow to ferment 3-7 days. If using berries, you’ll know it’s done when the berries have given up all their color. The resulting drink should be bubbly and yummy. Refrigerate at this point.